Moonlight (Yellowstone), 2017, 12-4 Fluorescent fixtures, filters, 90 x 90 x 2 inches. The Brain — is wider than the Sky (squared square of order 21 for Emily Dickinson), 2018, Collage on matboard, 28.5 x 28.5 inches. Thank you, Fog, 2009, Archival inkjet prints, 60 photographs total, 4.5 x 4.5 inches, each image, 11.75 x 11.25 inches, framed, Edition 2 of 3. 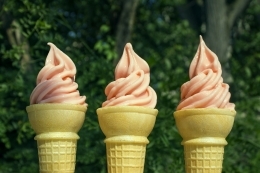 Sunset (Central Park), 2015, Ice cream truck, soft serve ice cream. Sky Over Coney Island (November 26, 2004, 12:47 pm. Southwest View Over The Cyclone), 2004, Helium balloons and string, Variable; each balloon 11 inches, diameter. 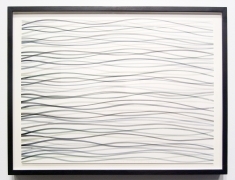 Pacific Ocean, Stinson Beach, California, November 10, 2004 (noon effect), 2009, Watercolor on paper (fabriano exta white hot press), 22 x 30 inches, paper, 25.313 x 33.5 inches, framed. 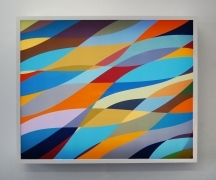 Desert Light (erg chebi, Sahara, morning effect) January 2, 2011, 2011, Light box, 37 x 46 x 7.5 inches. 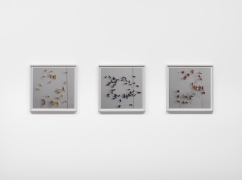 Vanitas (Tulips), 2012, Archival inkjet print, 16.5 x 16.5 inches, each print, 18.75 x 18.75 inches, each frame, Edition 2 of 3. The sensation as I sit down in my studio chair #7, #8 & #9 (after Beckett), 2016, Pastel and pencil on paper, 18 x 18 inches, paper, 20.75 x 20.75 inches, framed. Fog (Lake Wononscopomac), 2016, Pastel and pencil on paper, 22 x 30 inches, paper, 25 x 32.25 inches, framed. 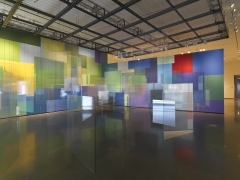 Painting Air, 2012, 112 glass panels, hardware, and paint, Dimensions variable. 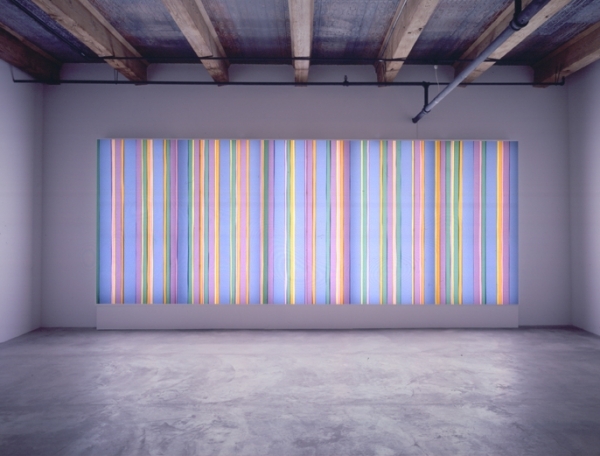 Spencer Finch (b. Connecticut, 1962) lives and works in Brooklyn, NY. He studied at the Rhode Island School of Design, Hamilton College, and Doshisha University in Kyoto, Japan. Finch has exhibited internationally since the early 1990s. He has completed recent projects at the Seattle Art Museum Olympic Park, WA, MASS MOCA, MA, and an outdoor installation, Lost Man Creek, organized by Public Art Fund in downtown Brooklyn. 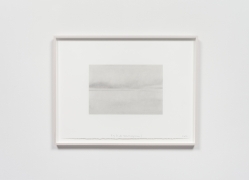 His solo museum exhibitions include A Certain Slant of Light at The Morgan Library in New York City in 2014, The Skies can’t keep their secret at the Turner Contemporary Museum in Margate, UK in 2014, Following Nature at the Indianapolis Museum of Art in 2013, Painting Air at the Rhode Island School of Design Museum of Art in 2012, Lunar at the Art Institute Chicago in 2012, My Business, with the Cloud at the Corcoran Gallery of Art in Washington, DC in 2010, and What Time Is It On The Sun? at MASS MoCA in 2007. 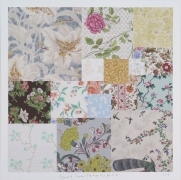 Finch was included in the 2009 Venice Biennale exhibition, Making Worlds, and the 2004 Whitney Biennial. 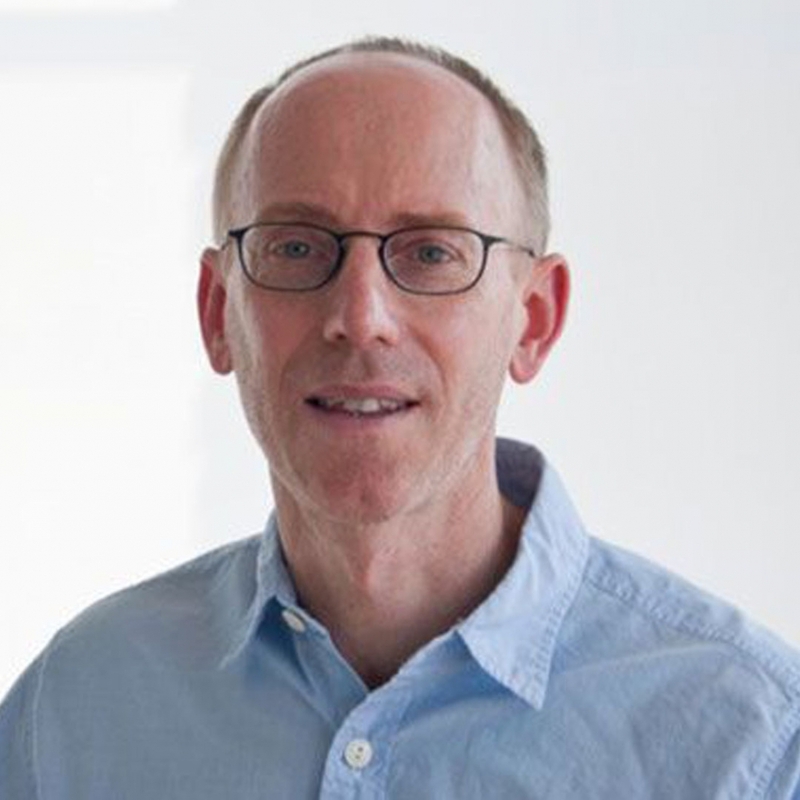 His recent public projects include Trying to remember the color of the sky on that September morning for the 9/11 Memorial Museum in New York City (2014), Vital Signs for Quadrant 3 in London (2013), the glass facade design for the Johns Hopkins Medical Center in Baltimore (2012) and The River that Flows Both Ways for The High Line in New York City (2009). 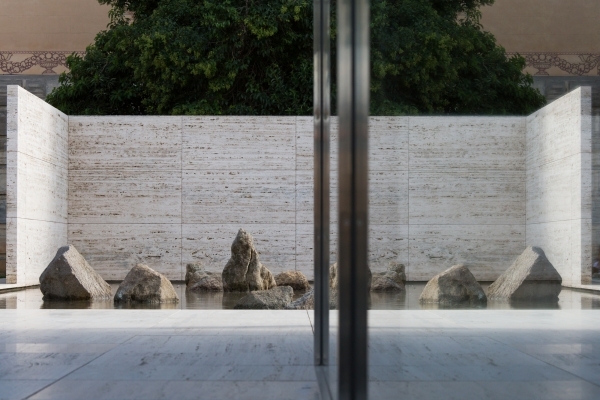 His work is held in numerous museum collections including the Art Gallery of New South Wales, Sydney; the Glasgow Museum of Art, Glasgow; the High Museum of Art, Atlanta; the Solomon R. Guggenheim Museum, New York; the Hirshhorn Museum and Sculpture Garden, Washington, DC; the Morgan Library, New York; the Museum of Contemporary Art, Chicago; the Museum of Fine Arts, Houston; Museum für Moderne Kunst, Frankfurt; the National Gallery of Art, Washington, DC; and the Whitney Museum, New York. Upcoming public projects are underway in London, Barcelona, and Denmark.